I have come to conclude that there are geostrategic and global-finance forces that drive the push to implement a global "carbon economy". See: Denis Rancourt, Carbon Reality Check, Dissident Voice, 30 April 2016. Scientists are not the tail that wags the carbon-politics dog. Generally, in addition to direct IPCC machinations, establishment scientists are salaried professionals who are biased in the same way that embedded journalists are biased in war reporting. I am against global warming alarmism, and against the proposition that climate change is a dominant threat to humanity or to the environment, which I believe is a preposterous proposition. Habitat destruction is caused by habitat destruction. Large-scale human misery is caused directly by human economic and geopolitical violence. Like all groundless myths that align popular thought for the benefit of an oligarchy, this particular myth should be exposed and denounced. I reject the argument that "it is positive to support the proposition of a dominant threat from climate change irrespective of whether it is true or not". Supporting the myth provides a pretext for soft, ineffective, and counter-productive politics of "change", and supports the hegemony that is actively seeking to broaden and enforce a carbon economy that is not and will never be democratically controlled. The way to fight habitat and ecological destruction is to fight habitat and ecological destruction. The way to fight injustice is to fight injustice. CO2 is not leverage for activists, it is a manipulation. A list of my work in this area is HERE. Dr. Denis G. Rancourt is a former tenured and Full Professor of physics at the University of Ottawa, Canada. 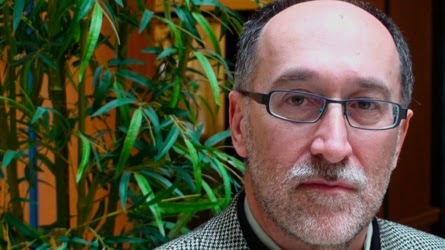 He is known for his applications of physics education research (TVO Interview). He practiced various areas of science (environmental geochemistry, soil science, spectroscopy, condensed matter physics, materials science) which were funded by a national agency, has published over 100 articles in leading scientific journals, and has written several social commentary essays. He is the author of the book Hierarchy and Free Expression in the Fight Against Racism. I happened upon your blog quite by accident, but I am glad I spent some time here reading your postings. I agree with pretty much everything you have to say say. CO2 is indeed a GHG, but its effects are easily overwhelmed. A mere 2.6 per cent increase in the earth's albedo cancels out the 2.5 W/M2 forcing from CO2, that and our poor understanding of the oceans and the stratosphere/troposphere coupling tells me that the IPCC has greatly overestimated the dangers in a doubling of CO2 concentrations.